NaNoWriMo. The month-long writing marathon you either love or hate or have no idea what we’re talking about. 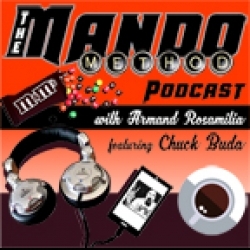 Co-hosts Armand Rosamilia and Chuck Buda will break it down for you with their own thoughts on the subject as well as who's excited about it. Who's leery about it. Who's worried about Denis Leary. They talk about other stuff, too. The Erin Sweet Al-Mehairi swoops in with her Marketing Morsels segment and answers some of the many questions posed by our listening audience. Great questions and great answers ensue. Followed by giant bowls of chili and a food fight to last the ages.